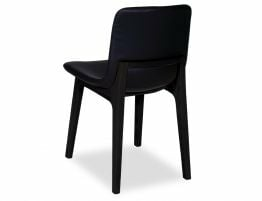 Ara contemporary dining chair is ideal for your modern dining room or refined contemporary kitchen owing to a simple, classic form that is chic without being fussy. 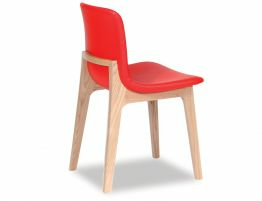 With a well molded curvaceous seat that is both comfortable and durable, positioned on a solid timber stained frame, this chair proves to be both practical and design worthy. The added addition of the padded seat turns your dining into a long conversation night without wanting to retreat to the lounge. 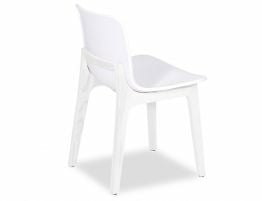 The Ara all white chair is made to precise construction and materials for your busy everyday life. 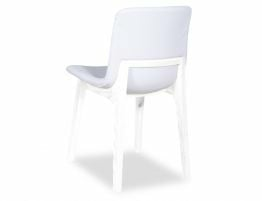 Lend your eating spaces an affordable update with these simple, well made all white dining chairs that is Ara. Ideal for commercial use that needs an update or your new project. 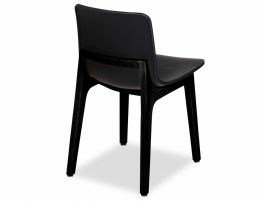 Comes with commercial grade faux leather for ease of maintenance and durability to last in busy areas. Ara will be a welcome addition to any gathering place.